Met with our amazing investigator from Russia and had a girl’s night after a hard day of work for her where we could have fun, relax, eat junk food, and watch Legacy. She thought the acting was hilarious, but seemed really interested in the actual history of the movie. She’s been investigating the church for a long time, but didn’t know much about the pioneers, so it was cool watching her eat the history up. 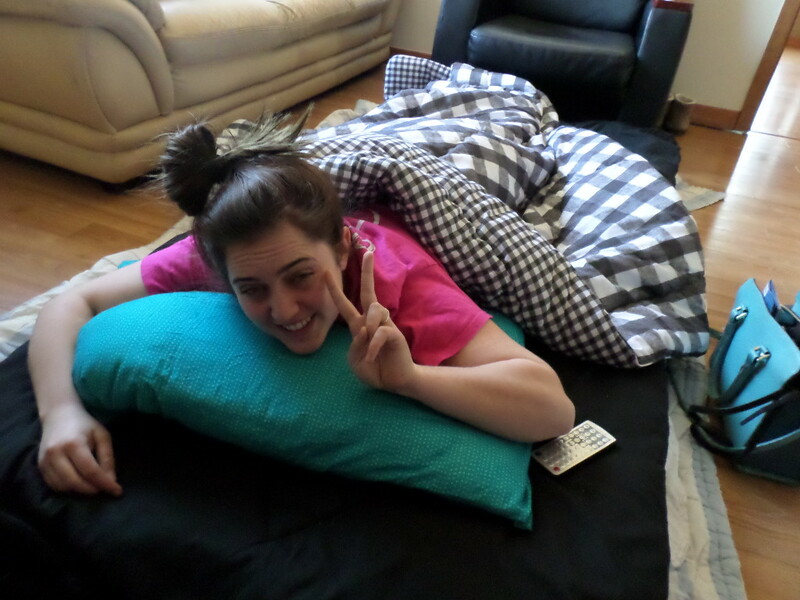 Helped poor Sister L after she strained a muscle in her back during exercise that she couldn’t move from her bed all day. It was a good opportunity to serve her and it made us all thankful that we are in a tri-panionship so we could split with a member and teach some people we had made appointments with as well as watch out for Sister L. Tri-panionships are the bomb! Played basketball and made a goal during the game!!! Woop woop! Have to be careful not to get prideful now that my basketball skills are improving. My companions and I are actually making a lot of friends with the people who come, and in turn they’re starting to bring their friends! It’s a really good way for people to be in our church and get to interact with missionaries and members casually and friendly. Our mission President even came this week to play and showed off how good he was at basketball–haha. It was really fun and a great opportunity to meet lots of new people. Got Transfer calls! 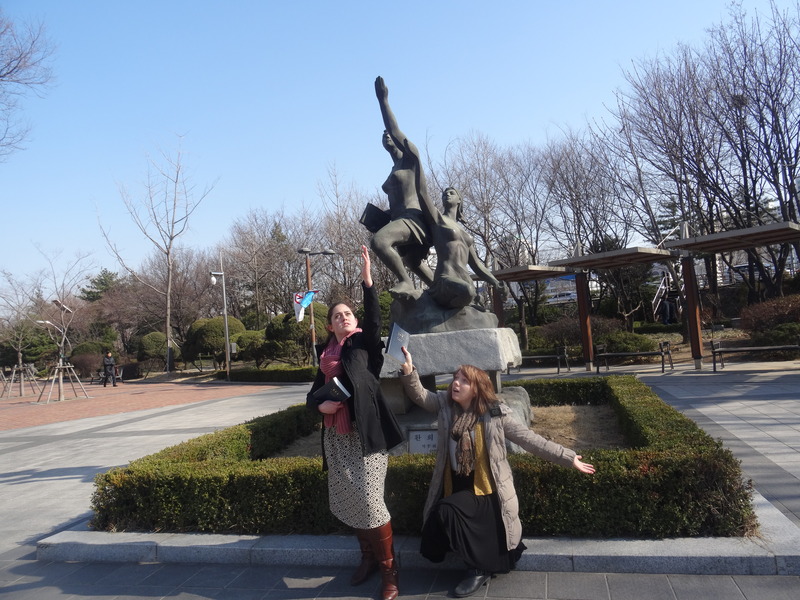 Sister L is leaving and Sister N and I are staying in Yeongdeungpo! 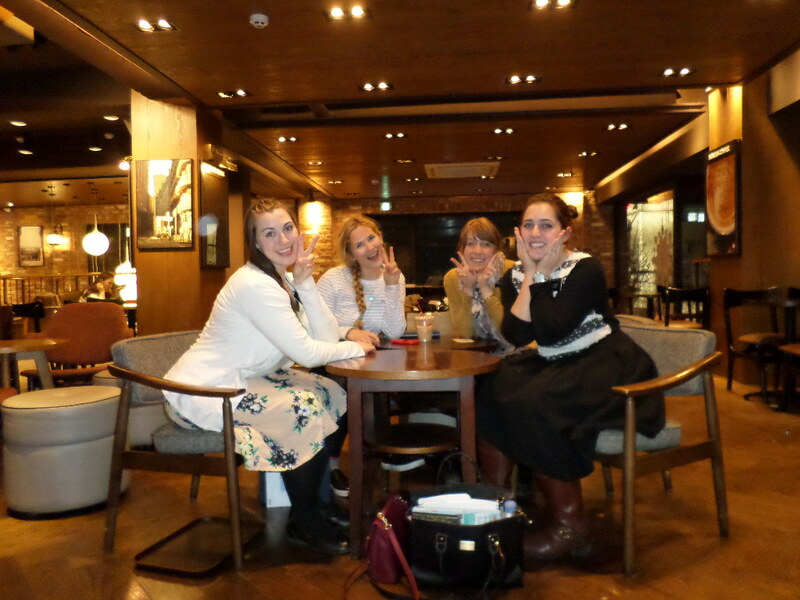 Had a linger longer with our English Branch after church and ate more American food than I have my entire mission. 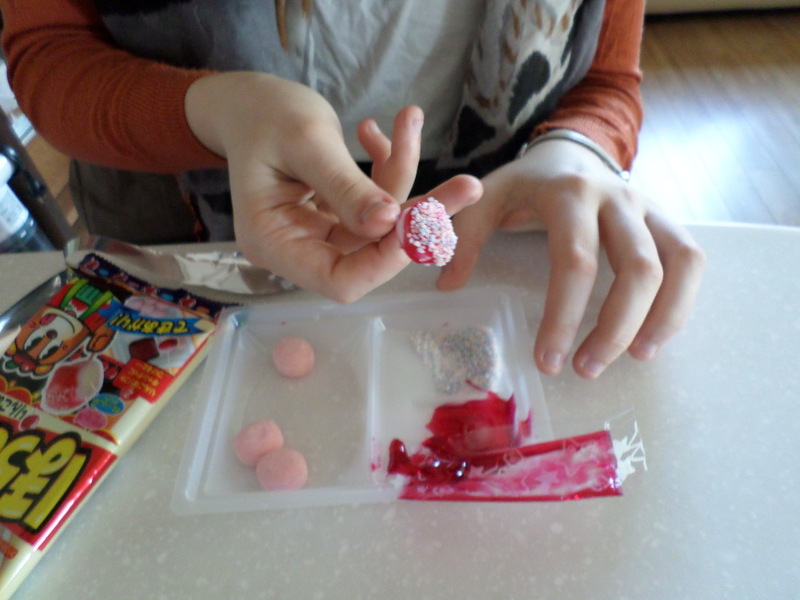 It was delicious, but we were all sick afterwards. We need our Gimbab and rice and fruit! My companions and one of our recent converts! Absolutely love her…and yah, I cut my hair. Happens…stay tuned for how it will be different next week! Who knows! That was just some of the things that I did this week! We always see a lot of miracles and feel the influence of the Spirit guiding us in all the things we do. It really is a great privileged to serve as a missionary for the Church of Jesus Christ of Latter-day Saints. I love it! No stingray, but this week was still fantastic! 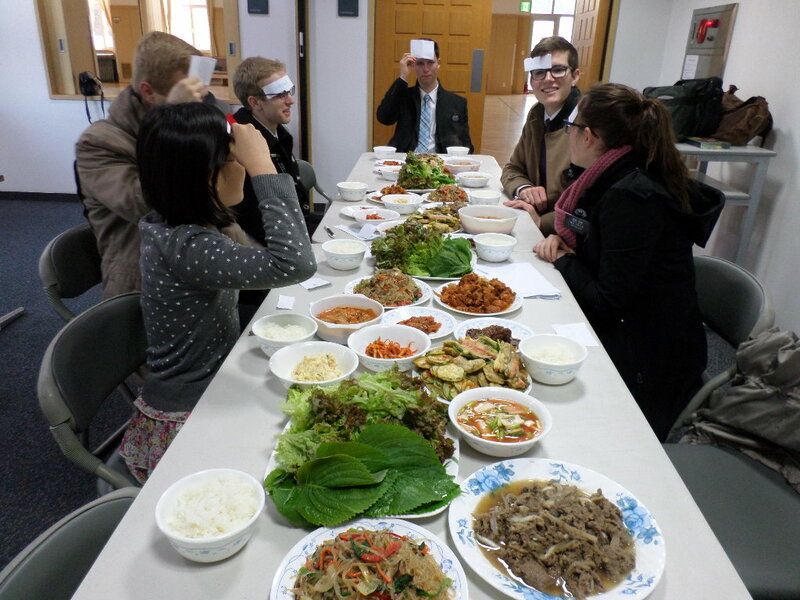 Our investigator made us and the elders a giant Korean feast! So nice! We played a game with her granddaughter as we waited for it as you can see. As I was studying, I read in Daniel chapter2…and Wow! was it interesting. In it, King Nebuchadnezzar has a dream and forgets almost all of it. It troubles him a lot so he gathers all the wise men and demands that they figure out what he dreamed about and the interpretation thereof. Hard, right?! All the wise men tell the king, “There is not a man upon the earth that can shew the King’s matter.” Like seriously, how can anyone figure out what someone’s dream is and the interpretation without even a hint! I feel for them! Well King Nebuca-what’s-his-name gets all the wise men in the land and tells them he’s going to execute them if no one can figure it out. A little harsh, but it happens in the Old Testament. Daniel hears about this and goes to the king and asks for some time to figure out the dream. With his companions (he has 3- Shadrach, Meshach, and Abednego), he takes some time (probably studying, praying and fasting), as they call upon the mercies of God to reveal unto them the secret. And then he tells him exactly what he dreamed about and the interpretation thereof!!! Ahhh! So cool! Anyway, there is a reason for telling you all this! As a missionary we teach lots of people, who have lots of different concerns and questions which aren’t always voiced (just like King Neb-ster and his troubling dream). These people want an answer (just like King Neb), but they don’t always have the courage or even want to ask what’s really in their soul. (I understand, because it’s hard to truly open up to people sometimes). But because we want to help people and really teach them according to what they need, we strive to follow Daniel’s example, and “desire the mercies of God of heaven concerning the secret” or their unvoiced questions and needs. Now this doesn’t mean that God reveals to us everyone’s deep dark spooky secrets or anything like that–we’re not mind readers. That’d be a little weird. But God does give us what we need to accomplish His work. Sometimes we feel prompted to talk about the Atonement of Jesus Christ with one person who is struggling to forgive themself for something done in the past that we had no idea about. Sometimes we feel prompted to just share a message from the Book of Mormon on hope and we don’t know why, but we know that it’s exactly what the person needed. I know that God does speak to men still, and he inspires and gives us revelation when we live worthy to receive it. He truly knows what people need, and what they worry about, and because He loves them, He wants to help them. I’m so thankful that we have a loving, living Heavenly Father! 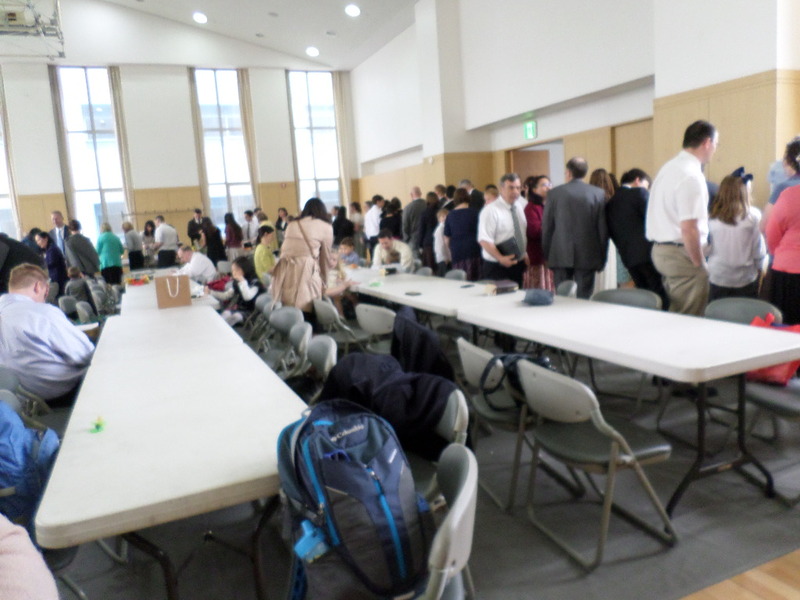 Stake Relief Society Culture night, every ward did something different. This ward tried to represent all the countries and cultures: That’s chinese the lady is speaking at the beginning and Korean at the end. I think it’s cool because it’s so different sounding from Korean! IT’S A SMALL WORLD!!!! In Korea! GOT TO LOVE IT! Sorry this was long! Love you! And hope you have a good week! This week I ate STINGRAY (홍어). I was at one of my Korean Grandma’s house for supper, when I see this picture of a stingray on her fridge and a restaurant name. 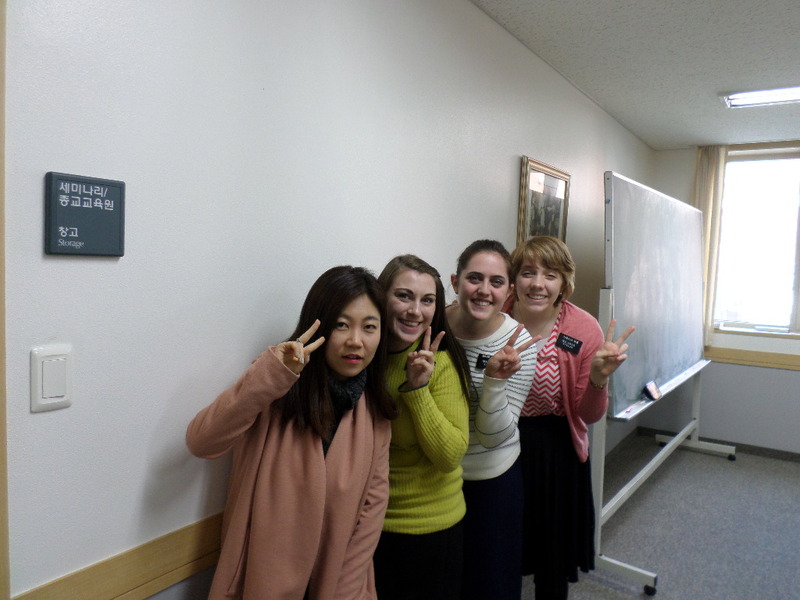 I asked her about it (just to start nice conversation and be a friendly missionary) when BAM! Out comes the stingray meat! It’s served raw, fermented, with a smell that reeks like urine and ammonia. The meat is tough and there’s a bone in the middle so you have to chew and chew as the taste and smell begin to envelope you. There’s no quick-swallow fix to the situation. You have no option but to slowly savor it. The taste is literally (not figuratively) stingy. It literally started to numb my mouth. You don’t even want to know what it was like the next morning! So being a good missionary and wanting to respect the culture, I ate 3 servings of it in total. Our ward member was really happy about it (though I don’t think my companions were). I’m going to be more cautious about starting small talk about anything potential edible from here on out. Haha! On a different, more spiritual, less stingy topic, we were able to have a surprise lesson with one of our recent converts! We haven’t been able to meet with her the past two weeks and were praying really hard that Heavenly Father could provide a way that we could somehow meet with her. We felt like we should ask her for Thursday night. Unfortunately, she had already made plans and couldn’t see us then. We were pretty sad and confused, but kept moving on and set up another appointment with a member to eat and have dinner that night. We go to the member’s house, and lo and behold, not one, but two of the recent converts that we have been praying to meet with are there!!! It was a miracle. They were all amazed at the luck of it. We knew that Heavenly Father’s hand played a big part in it. We were able to teach them both about Patriarchal blessings and help uplift and strengthen them. That experience helped me to know that God really does inspire us and love us. We received inspiration that Thursday would be a good day to meet with our recent convert. Even though things didn’t seem to be looking that way, God prepared the way and helped prepare us to know what to say. If He didn’t love us or our wonderful recent converts, I’m sure none of it would have worked out like it did. But because God does love His children, we all were able to recognize God’s hand in our life, blessing, helping, and somehow putting us in the perfect place to do what He wanted us to. I’m really thankful for that experience! 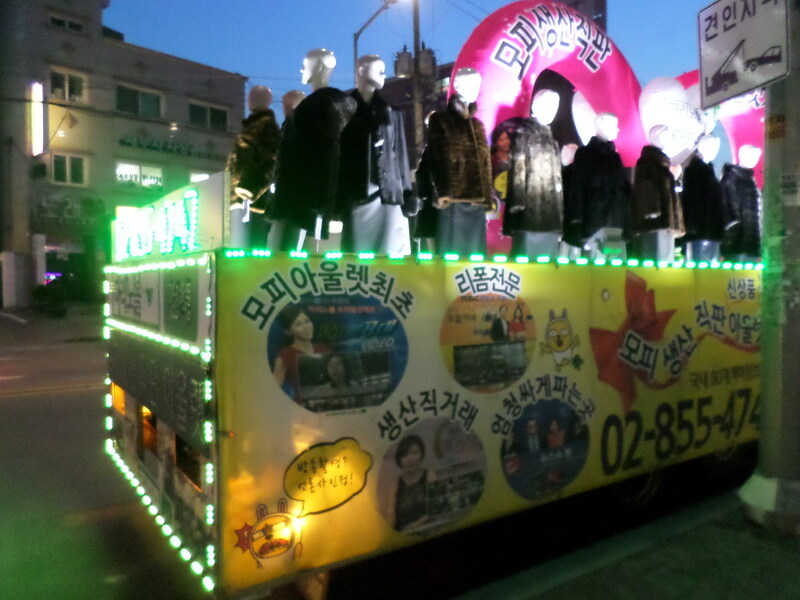 Coat advertisement–a van with mannequins on it! We were pretty scared when we crossed a corner and ran across this! Interesting way to advertise. This week we had the opportunity again to work directly with our members throughout missionary work!! It started after we had a lesson with one of our recent converts. 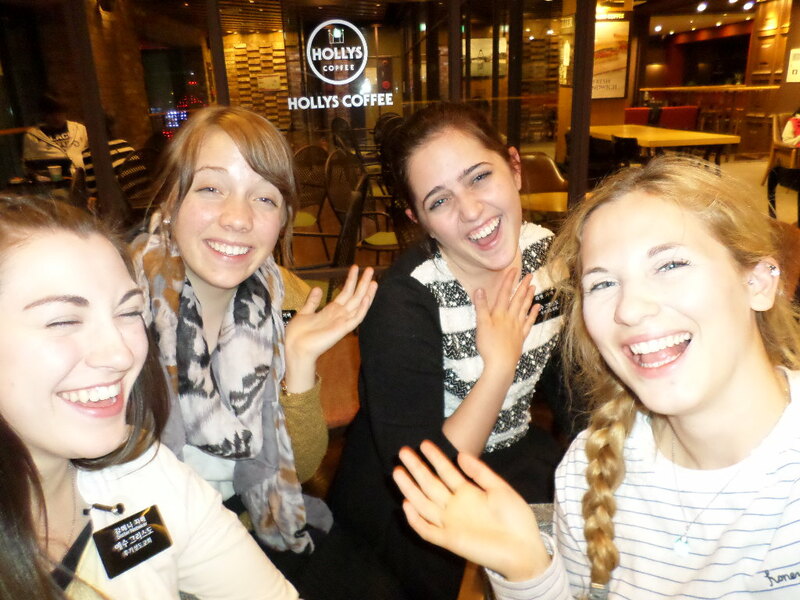 We were already planning on spending the day with a young woman to show her what missionary work is like, when our recent convert asked if she could join us too. Of course, we said yes and decided to go together (all 5 of us) to serve as missionaries. On the subway, Sister L. noticed that a lady standing next to her was reading the bible on her phone in Mark. We started talking to her about our love for the Bible and the Book of Mormon and she was very kind and seemed genuinely interested in our message! Our recent convert bore testimony of her conversion and got her number, and our Young woman invited her to English class! It was awesome! We just took a step back and let our wonderful members work their magic! They were so amazing! I just love them. As if that wasn’t miraculous enough, we saw a little while later a couple of people talking to each other in Korean Sign Language. Since we have a sign language class at church (and lots of amazing deaf members to talk to), we were somehow able to sign to them that we’re missionaries learning KSL and we have a good message about Christ to share! They were a little surprised that we were learning Sign language, but seemed touched that we had attempted to talk with them. We were able to visit some needy members in our ward, do service, talk to a lot of people, teach our recent convert that 6-inch heeled stilettos are not practical missionary shoes, and just overall spread Christ’s love and help our members feel a deeper fire to share this wonderful gospel! I went to Gangnam this past Saturday to the BEST RESTAURANT OF MY LIFE… called Spoon the Street, or Spoon on the Street. Oh so good! It was like this yummy shabu-shabu stuff (샤브샤브) and a huge buffet! LOOK IT UP! SO YUMMY! The weather is warming us here (sort of- it’s bipolar so it changes all the time). My favorite smell comes in Spring when the flowers start blooming (especially the cherry blossoms), my all time hate smell is food trash…yuck! All nasty and separated because Koreans separate EVERYTHING! It was a wonderful week! Can’t wait to see what this next week brings!